The Men's Guard T-Shirt showcases Cotton / Polyester construction, for luxurious comfort and moisture wicking performance. 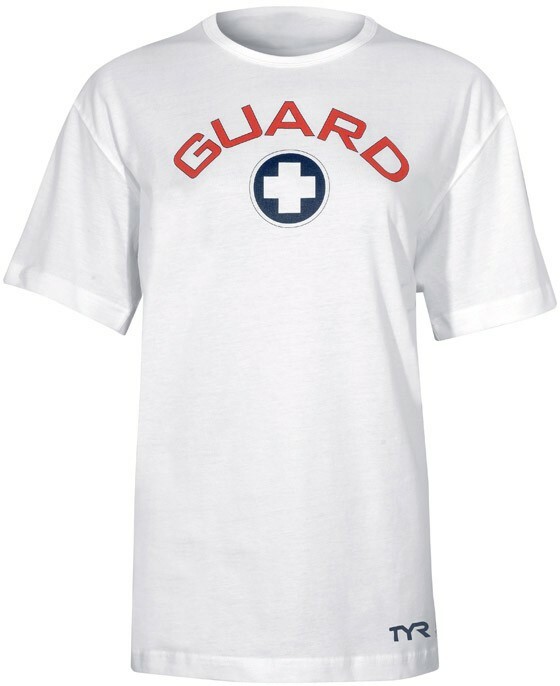 Engineered for lifeguards, the Guard T-Shirt is a perfect choice for the pool or beach, offering protection from the sun and accelerated dry time to combat the heat. Featuring an oversized Guard Logo for increased visibility, the TMGF3 separates you from the crowd and authenticates your role. Safety's first, but style and performance matters. Q: Can you make a red one? A: Thank you for contacting TYR Sport! We are always eager to answer any questions you have about our products. At this time we do not have plans to make a red one. I will pass your suggestion along.